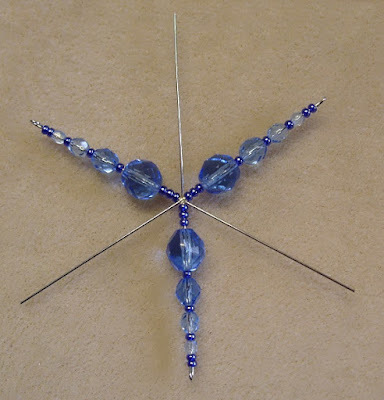 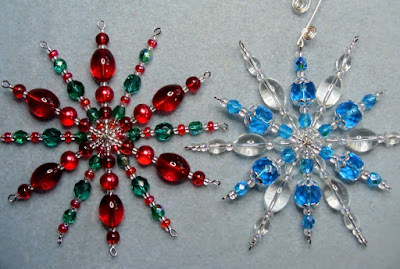 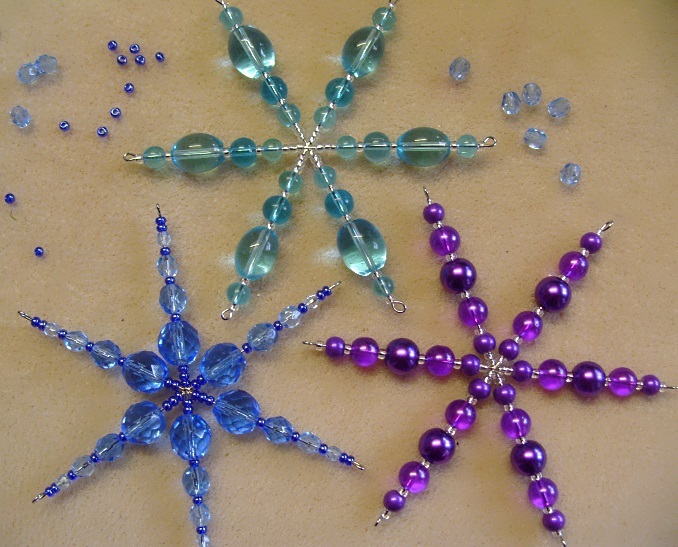 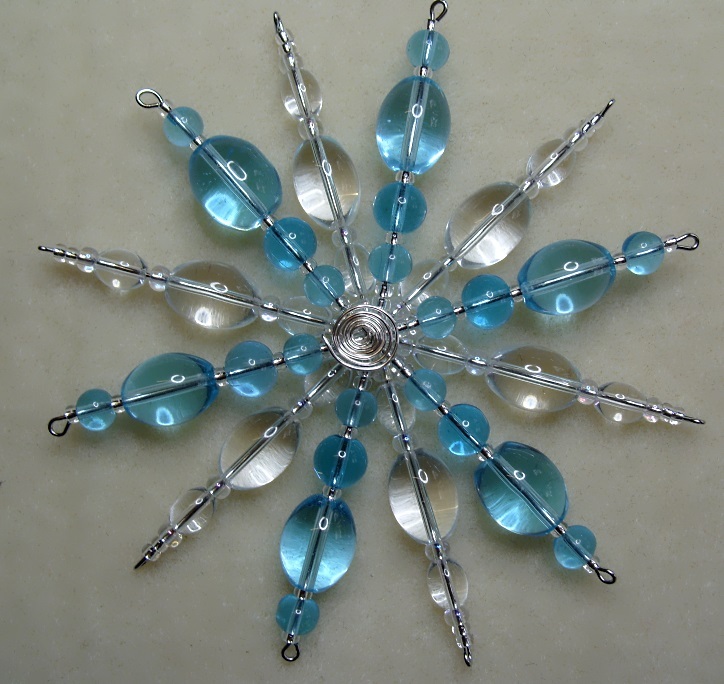 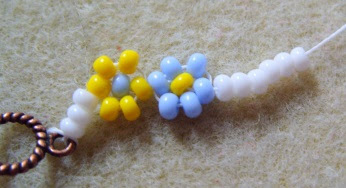 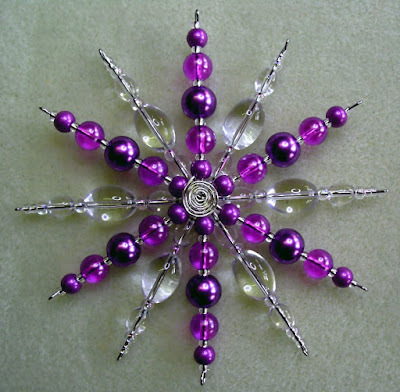 You can use any beads you like to create a beaded decoration with snowflake forms. 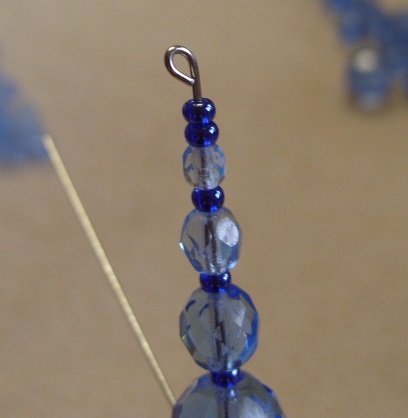 For this ornament I started with size 8 seed beads as only small beads will fit in the centre, the other beads are Czech fire polished crystals in various sizes. 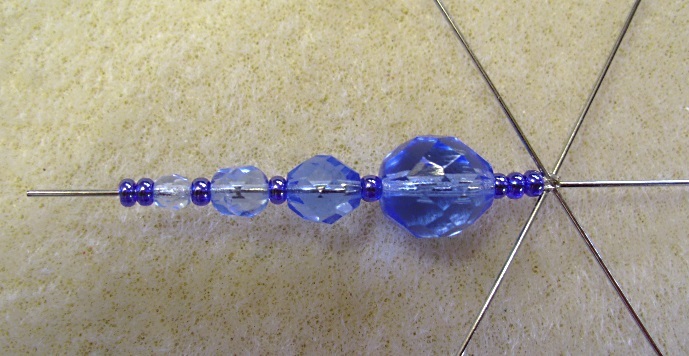 Leave about a centimetre of wire to make a loop at the end. 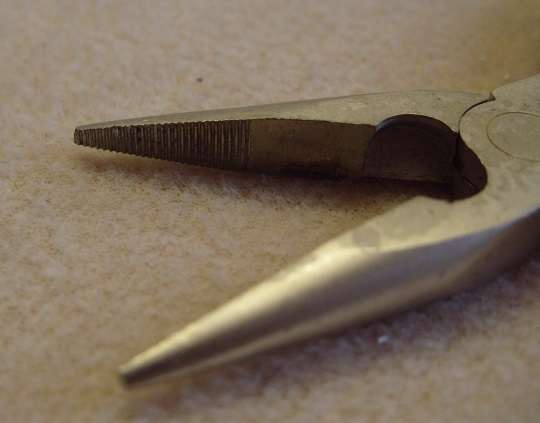 ...and then squeeze the loop carefully closed with pliers with ridges which grip the wire and don't slip off. Make sure you don't put too many beads on, or close the loop too tightly against the beads as this may either crush and damage your beads or put too much force on the centre of the wire form. After the first prong is done I usually bead every other wire as this helps the beads sit better. 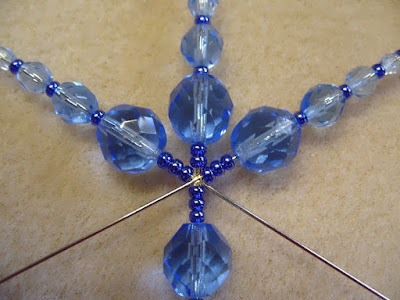 When beading the other three wires, sometimes it helps to start with one less tiny bead in the centre as there is not enough room for them all to sit neatly next to each other, and that may lead to you not having quite enough wire to turn a loop. 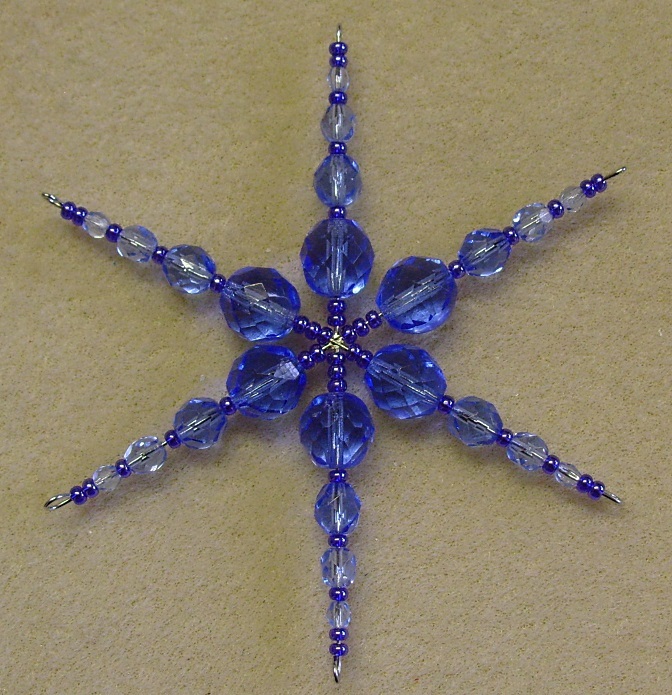 And this one is finished. 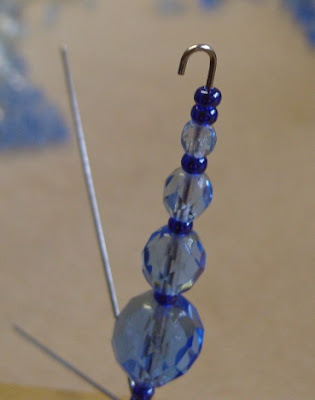 You can make fancier one's by wiring two together!